The light rain on the tent served as a precursor of what was to come. It had stopped by the time I got up and packed up my tent. We were cooking breakfast and while I was under the tent top cooking pancakes the rain started again. Yesterday’s good news didn’t last long. As we were packing up the truck Jacquie made the decision that her knee wasn’t well enough to ride and packed it in. We will miss her. I donned my rain suit including shoe covers for the start of our ride. It rained steadily for the first 45 km. The shoe covers did their job as my feet stayed dry. Rain suits really don’t keep you dry as you sweat as you ride so basically you get wet from the inside out. They do however keep you warmer. 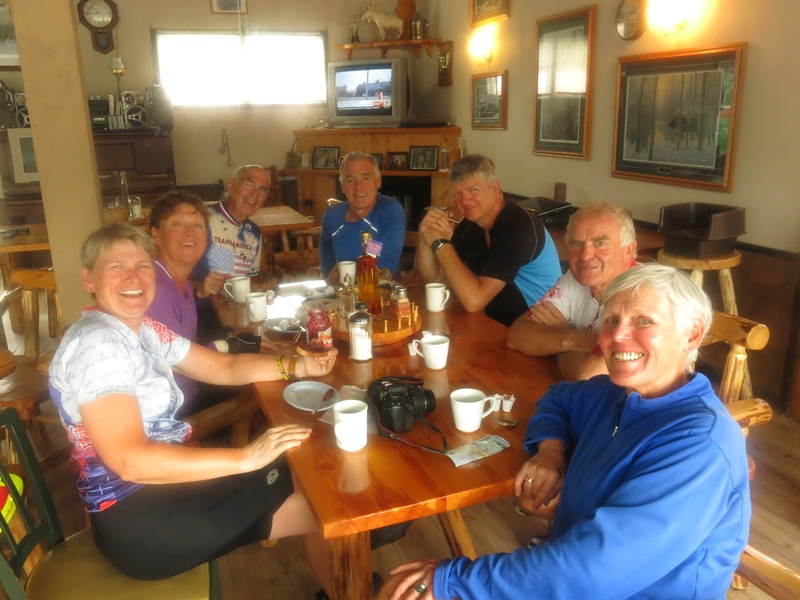 At about 45 km into the morning we stopped at a little cafe. 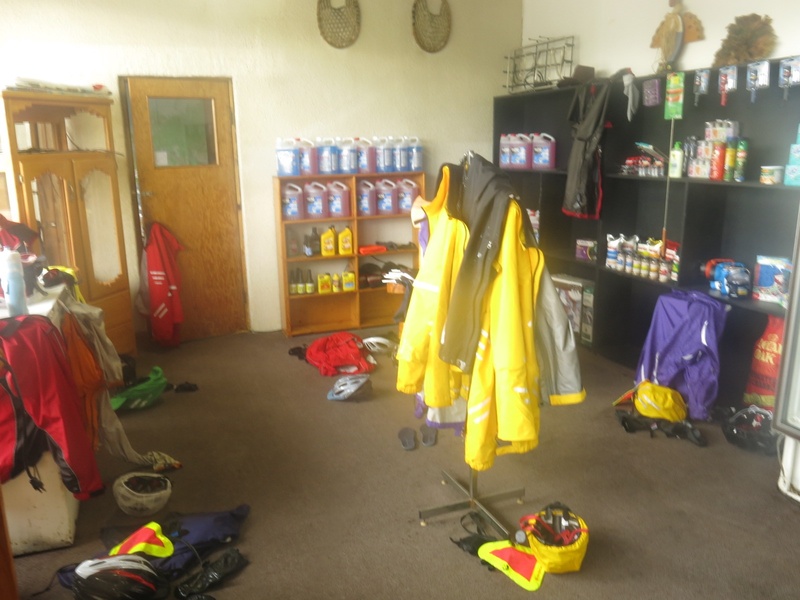 A number of riders had arrived before we got there and the store part of the building was full of wet riding gear hanging everywhere. The cafe and store was run by one guy and the menu was fairly limited. A couple of fellows had ordered eggs and sausages with hash browns. A hot chocolate would have been very welcome but he didn’t have any so I settled for an order of toast and coffee. While we were eating the rain stopped. Luckily that was the end of it for the day. We rode another 20 km and stopped at a cafe that did have chocolate milk. A group of us sat at a picnic table and had our first sandwiches of the day. 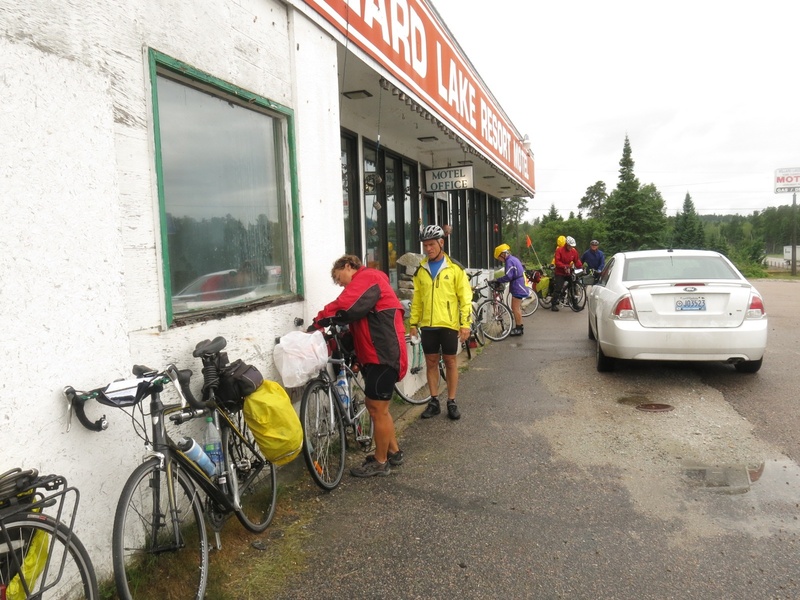 At our third stop, at approximately 95 km., we met a young fellow who was biking unsupported across Canada. He is hoping to reach St. John’s around the same time we are. 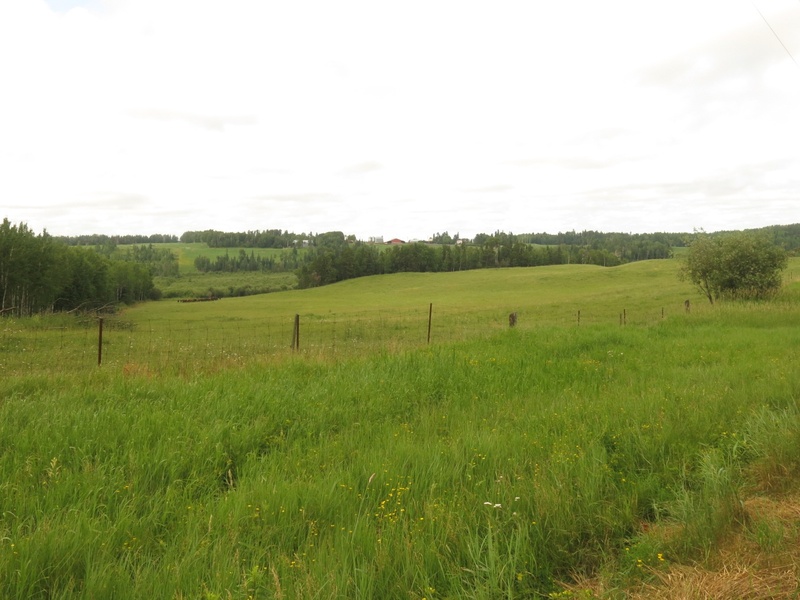 The scenery varied today from rocks and lakes to farmland. 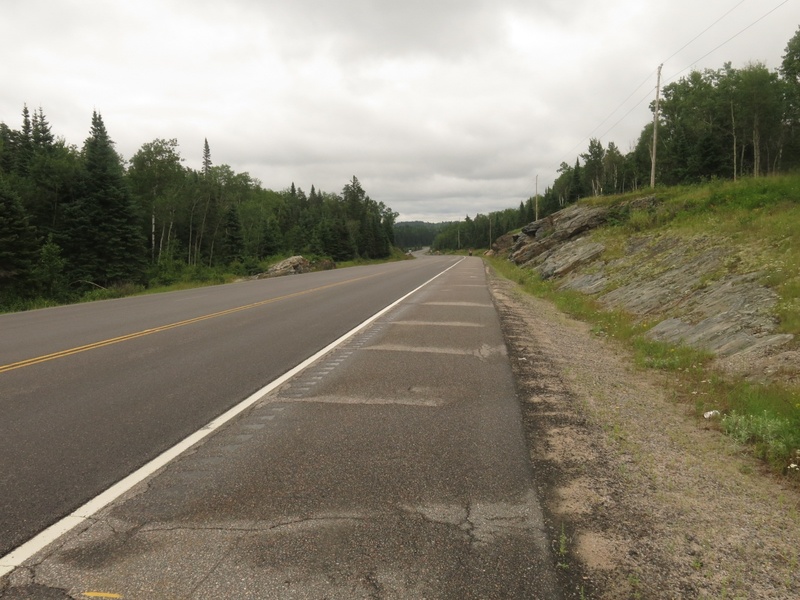 The roads were for the most part rolling hills but weren’t too difficult to handle. About 4:30 we arrived in camp after 140 km ride. There is no WiFi or cell service here so once again posting to my blog will have wait. At least yesterday I was able to get it caught up to date.